Its a funny thing that when my mum goes on a trip to the US, the only thing she buys back for me is food. No, I’m not talking about the typical kinds of food that you would associate as a gift, Im talking about raw, baby back pork ribs. And trust me, if I sound like I’m complaining, I’m really not. Seeing as to how my parents were on holiday and I would be putting two less lives at risk; I went with the lowest and slowest cooking method. I decided to do 57.3C for 72h, because I notice that my Immersion circulator fluctuates between +/- 0.2C, and I just wanted to be on the safe side. -Coat ribs with a mixture of salt and sugar(Inspired by Momofuku, although salt+sugar isn’t exactly inspiring), let the ribs sit covered in the refrigerator for about 14h. Any leftover liquid at the end of those 14h was discarded. -Ribs went straight into the vacuum bag, along with some duck fat(get used to this), a teaspoon of liquid smoke(and this too), and a dash of garlic powder. -Ribs were then reheated at 57C for 30 mins, and burnt with a butane torch. Positives: The ribs were tender, very very tender. In fact, while I was trying to remove the ribs from the sous vide bag with a pair of tongs, the ribs broke apart under the force of its own weight. I wouldn’t normally throw the phrase “Falling off the bone tender” loosely, but I think this is as close as it gets. The meat was a perfect medium rare, and it was almost surreal to eat it because I normally associate baby back ribs to be cooked on the barbecue; while tender, the meat is often in the medium-well to well-done region. The meat was moist, not as moist as I would have liked, but everytime I felt that the meat was getting a little too dry, I would bite into a pocket of fat that would instantly bring everything back to delicious normality. Negatives: While the bone on the rib released flavour into the meat as it cooked, I felt that the meat could have been a little more flavourful with its own natural flavour, the salt/sugar seasoning seemed to mask the taste of pork; then again, this is probably my own fault because the meat was fairly cheap. I also found it difficult to get a nice crust on the meat with my butane torch, it certainly didn’t brown as fast as I thought it would (Pork vs Beef?). The doneness of the meat was also fairly inconsistent, the center portion of the meat had a significantly redder interior than the outer portion of the meat(Im talking about from where it was cut), I would think that after 3 days of cooking, the entire slab of meat would have cooked through consistently. With a stronger seal, the meat is able to re-absorb much more moisture, which might explain why I felt the meat was a little dry. I’m still stumped as to the inconsistency of the done-ness of ribs though. Was there a textural difference or was it a coloration difference? Color could indicated a difference in oxidation when cut open, texture some problem with your transfer of energy from the water to the meat. Duck fat could be unnecessary. Opinions on both sides. This was actually so long ago that I cant quite remember, if I had to guess it would be a coloration difference. How should I have averted the problem with oxidation? I’ve actually stopped vacuum sealing with fat ever since I read the Modernist Cuisine article on Duck fat-less duck confit, thanks for the heads up though! Chanced upon your blog when searching for SV ribs. Didn’t realized you’re from SIN as well and was surprised to firstly read “Bak Kut Teh” spices, and then further down “Momofuku Inspired”?! I must say I enjoyed the pork bun at Momofuku, but the ramen was average. But I digress. The ribs look fantastic and I’m certainly going to try this soon. 72 hours is a real test of self restraint though! I wonder where you (and foodsavervacuums) get this incredible “higher” / “better” sealing pressure thing. It’s even worse than “sealfrying” steaks to keep the moisture in. When you vacuumpackage something the only thing you do is to remove the air from the package, there isn’t ANY KIND of suction on negative pressure or anything inside the sealed package. It feels firmer, but that is just the plastic which doesn’t move on top of the food and prevents you to bend it. (It actually feels the same when when you just use the “Archimedes” method to seal a zip bag.) The point in vacuum sealing to get the water to as close contact as possible with the food since air is pretty efficient insulator (and vacuum is even better, some thermos bottles use vacuum as insulator!). Only time the meat is in different environment is when using vacuum chamber sealing since then the surface of the meat is subjected to almost zero athmospheric pressure. But when the package is sealed and chamber is flushed full of air then the pressure to the plastic (and via that to the meat) returns to normal. Really NOTHING happens to the pressure when you open a selaed package… Only reason the chamber sealears are better because you’re able to seal liquids in those, the end result is the same for anything else! Of course with unefficient sealers there are some air bubbles that remain in the package, but they really do not matter (if they are small enough) and don’t affect any pressure. If someone claims you something else, he must be trying to sell you something expensive. Partially yes, the PSI value describes the perforance of the pump, how low pressurre it is able to create, but when the plastic pouch is sealed and the pouch is in normal athmospheric pressure, there isn’t any “negative” pressure inside the pouch, it is just empty. Only “exceptions” are when you vacuum something that has concave or empty areas. Example could be e.g. 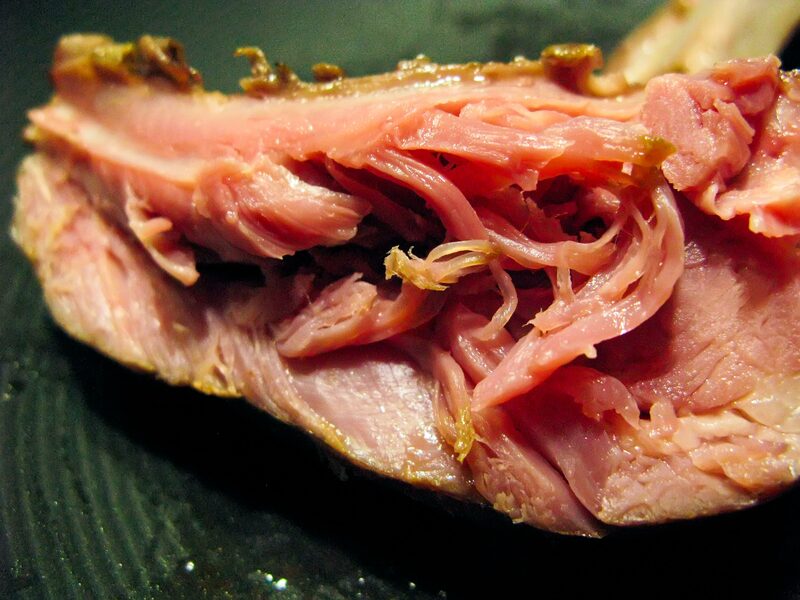 pork ribs where you have bones creating areas where the plastic of the pouch cannot mould closely enough, there you would have low pressure areas. But since vacuum is better insulation than air that is actually a (slightly) bad thing because the temperature of the water cannot easily conduct to the meat. Usually those areas are very small and tempereature conducts quite handily also internally in the meat/vegetables so it eally doesn’t matter that much… Before vacuum packaging was introduced, similar effect could actually be reached by just wrapping the food with several layers of plastic wrapping or oiled paper, but they were not as sure methods (they usually leaked, and therefore couldn’t be used for long preparation times) as vacuum pouches currently are. So, no suction or forces of any kind were needed. Thanks for the info, I can’t claim to know everything down to a scientific since a lot of what I know is a collection of words from blogs, books, articles; some of them contradict each other and I piece it together, but I do appreciate the scientific explanation. I have found that ribs with a ‘strong curved’ bone do have the pockets of air as you mentioned, one issue I can think of is the bags floating to the surface of the water, on top of the transfer of heat energy to the meat, but for long duration cooking, this shouldnt be much of a problem since it will come to an equilibrium temperture after a couple of hours? Did you find that the connective tissues and muscle fibers melted into the meat, or stayed inedible? I tried sous viding ribs at 133 F for 14 hrs. and the muscle and connective tissue was pretty much still solid. This made it very hard to eat the ribs. I ended up throwing them in at 160 for another 6 hours; which melted all the muscle and connective tissue into edible meat; but also seemed to dry the ribs out quite a bit.